Khun, nicknamed Kam, is celebrating his first year at Modern Male! 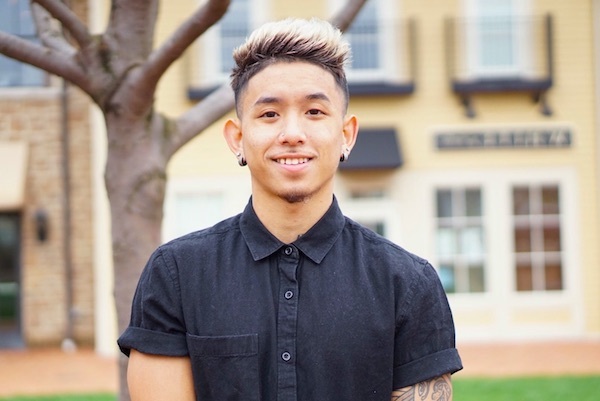 When he came to Modern Male his vision was “to be the best.” One year later, he is definitely proving his talent and is on his way to being, if not already, one of the best men’s hair stylists in Columbus. Khun’s philosophy on men’s hair is to have fun and enjoy the moment. He builds on the energy of being in sync with everyone that sits in his chair. He strives to develop a friendship that allows his client’s guard drop and pretenses let go. This openness allows the creativity to flow. Khun looks at himself as a problem solver. Not only will he offer solutions to your challenges with your hair, but he will also provide advice on how to care for it as well as use the right products to maintain your desired look. Khun is accepting new clients. Please forward this email to your friends. They will receive $10 towards their first visit. As mentioned in our Spring Trends newsletter, ask for extra consultation time when booking your next haircut if you are looking to “let go” of your previous style. The style consultation comes at no additional cost.